The bar scene in Hanoi is booming. The sleepy Vietnamese capital is known as a melting pot of cultural influences — Southeast Asian, Chinese, and French — and stunning architecture. But wait till the sun sets, and you’ll see the nightlife is getting a breath of fresh air with a rise of cocktail bars in Hanoi. While Ho Chi Minh City has been steadily becoming popular with their many coffee places and bars, Hanoi is not too far behind. Hunt around the Old Quarter for hidden bars or get experimental with the interesting cocktails that some of these bars provide. The best part after you stumble out of the precinct from having one too many? Street food is never too far away from your reach. 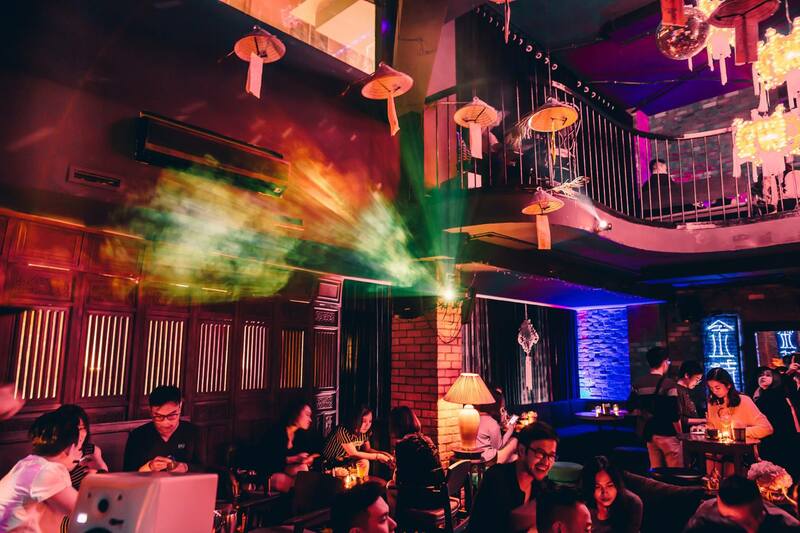 Now go on and have a good time experiencing the cocktail scene in Hanoi. 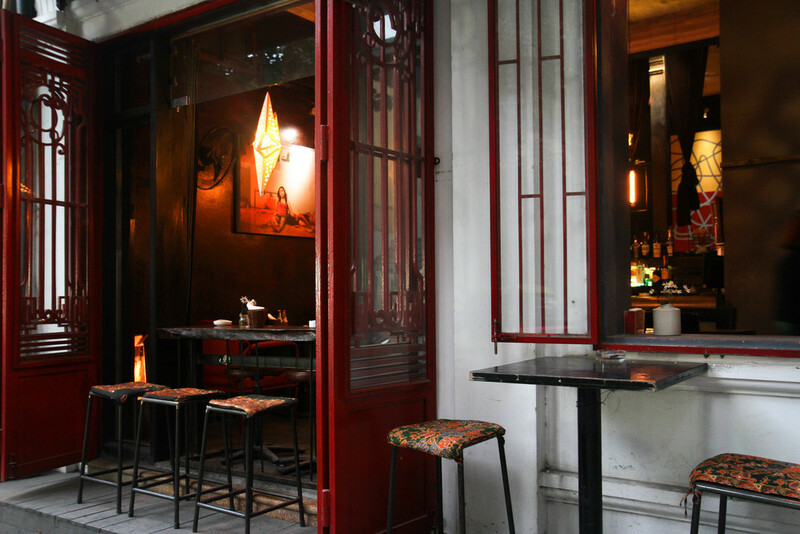 While it is regarded as a speakeasy bar, Kumquat Tree is hidden in plain sight on a small street in Hoan Kiem. If you still can’t find it, look for a brightly painted red door with potted kumquat plants. 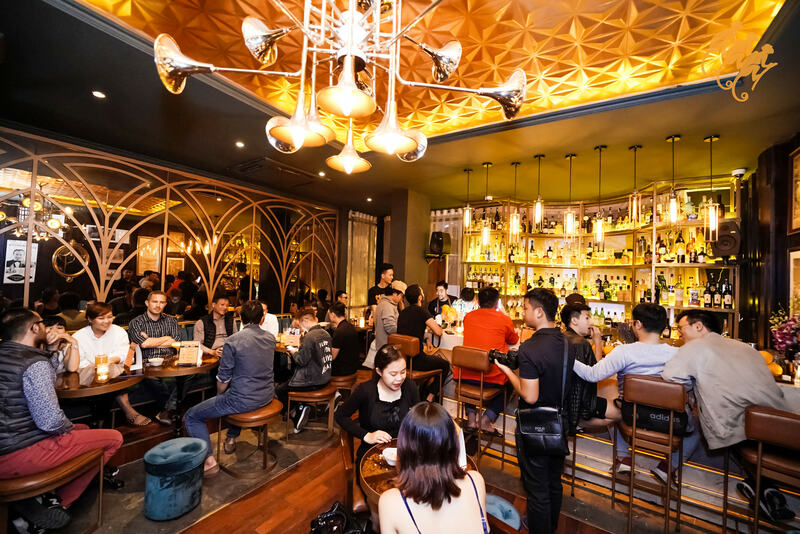 The bar’s identity takes inspiration from the height of Hanoi’s decadence era and its interior is furnished with old-world Vietnamese furniture. Meanwhile, its cocktails use local ingredients sourced from all over the country. Come for the gin selection and stay for the amazing view of the St. Joseph’s Cathedral. This two-floor establishment features a wide array of gins from around the world which you can order with various tonics and mixers. Its upper rooftop level is the one with the fine view, while its lower floor is perfect for those who’d prefer to cosy up in an intimate setting. 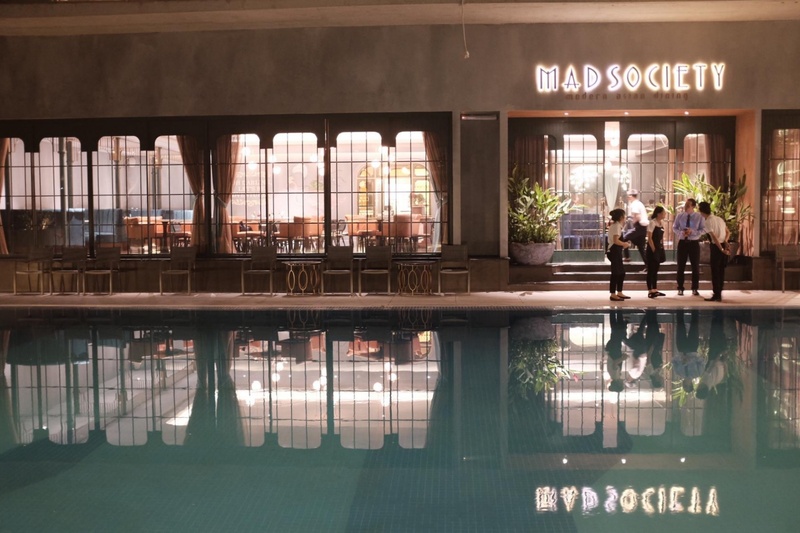 MAD Society — which stands for Modern Asian Dining — is more of a fine restaurant, but head over to its bar area and it won’t disappoint. The bar presents a dizzying range of whiskies and delicious cocktails for you to choose from, which you can have after your elegant dinner. Be sure to not fall into the pool. Cocktail enthusiasts will have a good time at Nê Cocktail Bar, especially when it boasts several award-winning bartenders. 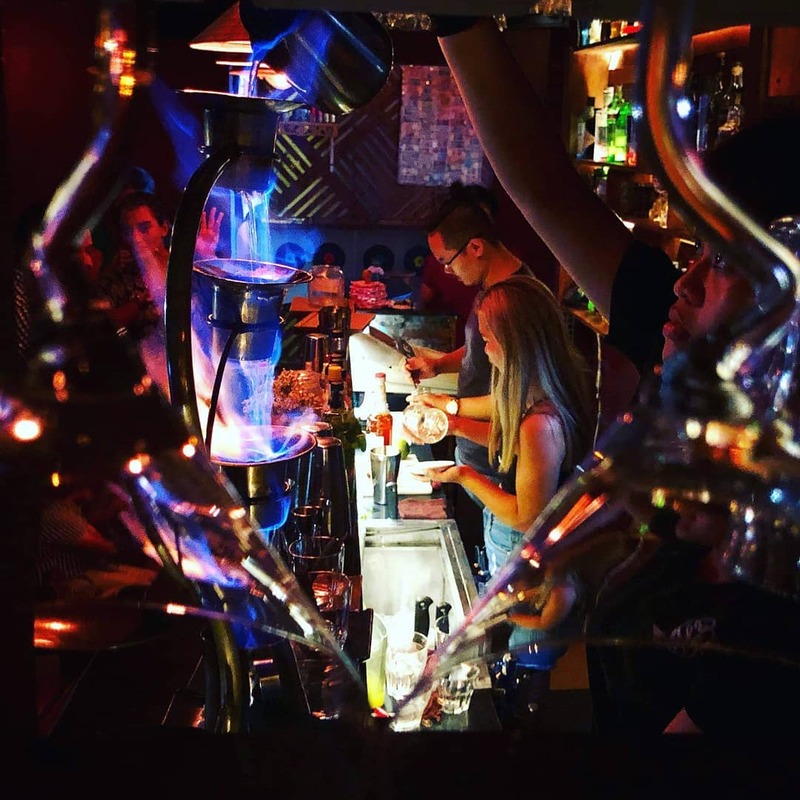 This hip bar located at the Old Quarter has a signature creation: the Pho cocktail, which you must try should you visit. The gin-based cocktail features similar ingredients found in the beef noodle soup, including star anise and cinnamon. The menu also boasts cocktails highlighting the unique local flavours of Vietnam. Escape from the hustle of the Old Quarter and step into a quiet haven that is Polite & Co. While it has a restriction on the number of people allowed in the space, its service is efficient. Taking on a 1920s gentleman’s club style, the interior is classy and cosy with wooden bar stools. Its owner Quan is also the co-founder of Mad Botanist, so it comes to no surprise that Polite & Co also boasts a wide array of spirits — over 500 different kinds from around the world. Order a classic cocktail or their popular Basil Daiquiri. 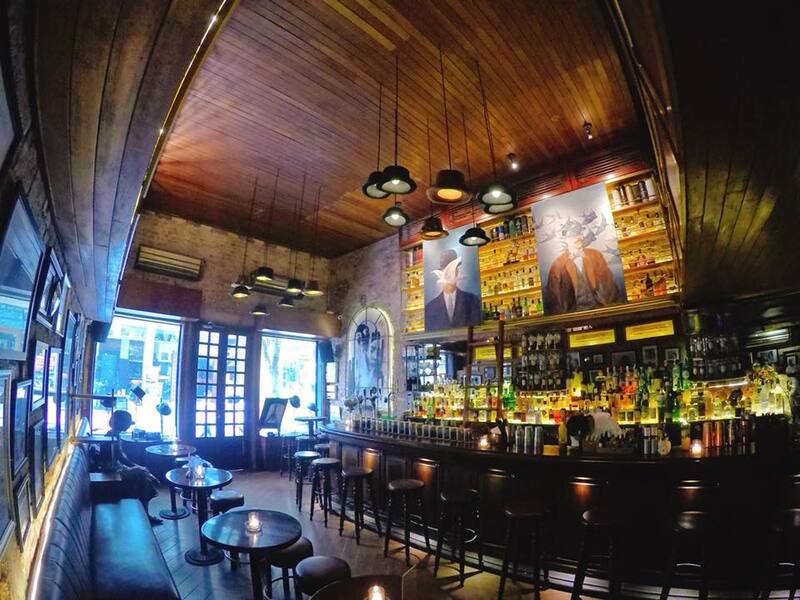 Tadioto is a place where art and cocktails come together in harmony. It’s where Hanoi’s artsy crowd and intellectuals congregate, so you know that you’ll be soaking in their vibes. Other than shaking up excellent classic cocktails, it also serves Japanese cuisine in a bohemian interior setting. If you’d like a beer, try Tadioto’s own line of craft beer, Nhan Dan. Unlike what its name suggests, you won’t go into The Unicorn Pub and find yourself in a secret world of glitter and rainbows. Instead, it’s quite the opposite. The facade is made up of rustic timber panels while its interior boasts a bohemian style with quirky decor. 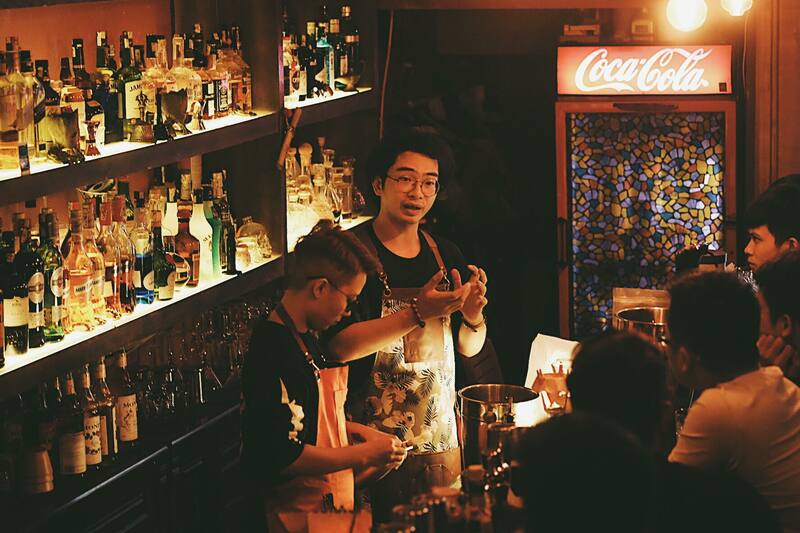 Helmed by iconic local bartender Phan Tien Tiep — former Diageo World Class Bartender of the Year for Vietnam — you can be sure that the menu won’t disappoint. While it was known for its signature Pho cocktail, The Unicorn Pub has since undergone a menu revamp in 2019 with more delicious cocktails to try.